Things have gotten very creative when it comes to the popular wedding favors of today. No longer are they fine polished silver bells that you have to worry about cleaning every few months so they don't tarnish. With many bride and groom's having to worry about everything else that comes with a wedding, especially the major expenses of a venue and caterers, it's nice to spend a little less on favors while still giving it a unique touch. Here are some examples of wedding favors that can add a whimsical and personal appeal to your wedding. Sure, these glasses are a little silly. 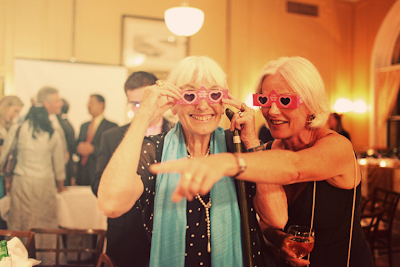 But they are also fun and can only cause giggles for your wedding guests. When peering through these one-of-a-kind glasses, all points of light (candles, street lamps, headlights) turn into hearts. Plus, what's so great about these is you can either keep them or throw them away. They are just there to entertain the guests and show them that you are thinking of them. Some brides like to explore their crafty side and make party favors themselves. 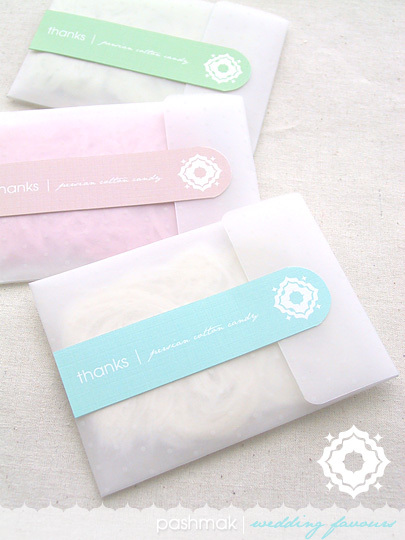 These Do It Yourself Cotton Candy Favors are one perfect way to show this. Also known as "Fairy Floss," flavors include Pistachio, Vanilla, and Rose and look extra sweet in these translucent envelopes. For full directions, check out this link. 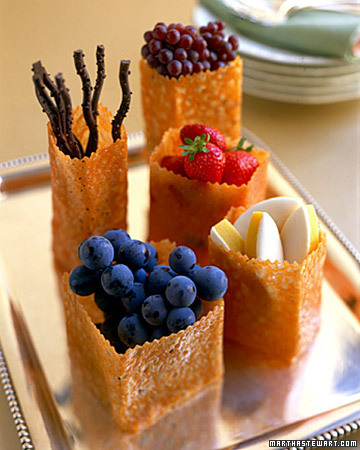 These edible cookie bags, found on Martha Stewart are perfect favors for a summer wedding. Made to resemble paper bags, they vary in size and can either be taken home or, if they look too savory to wait, can be gobbled up at the wedding. 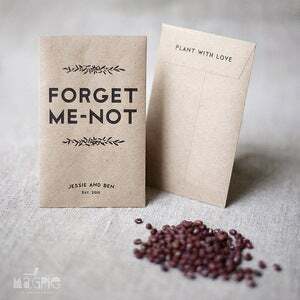 Many Spring/Summer weddings are based around flowers, and the new gardening season, which is why these Forget-Me-Not seed wedding favors are sure to be a hit.